In this article, I will show you how to convert Excel to PDF and add watermark on pdf file. This method can be used to convert all the Excel to PDF and then add watermark on pdf file. The software I use is CZ Excel Converter, which is GUI version, so you can run the conversion quite easily. This software also allows you to encrypt, set PDF general options to output PDF file. Please check more information on homepage, in the following part, I will show you how to use this software. CZ Excel Converter is an image processing shareware, in unregistered version, it can only run 10 days. The tool is currently the latest version is V5.0 Build130902, it can quickly convert excel to pdf. Furthermore, this software not only allow you to do this operation. It can also allow you to convert Excel documents into a wide range of formats including PDF, PNG, JPEG, TIFF, XLS, XML and much more. You can run it on various windows operating systems and it supports 32 bit or 64 bit Win98, Win2000, WinNT 4.0, WinME, WinXp, Win2003, Win Vista, Win 7, Win 8, Win 2008, Win 2012. You can download it from http://www.convertzone.com/excel_converter/demo/czxlsvt.exe, and the installation file size is about 10M! After simply double-click the file, and you will be able to successfully install it. After installation, CZ Excel Converter is shown automatically in the Start menu, and create a set of folders. Simply click the icon then you can launch this software. The following snapshot is from the software interface, please have a check. Please add Excel file to software interface by dragging or clicking button "Add files". When you need to add whole Excel files in folder to PDF, please click button "Add Folders", then you can choose source folder and destincation folder. Click "Format Setting" button then you will see the following screenshot. First, please go to "Watermark" tab to add watermark on pdf file, which looks like the below snapshot. Here you can set the watermark options. 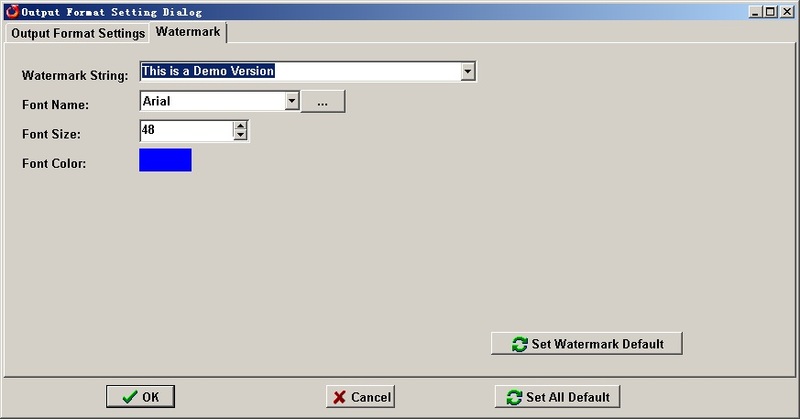 Then input the watermark content on "Watermark String" part, for example "This is a Demo Version". In the "Font Name" part, please choose the font name of watermark. Then choose "Font Size" and "Font Color". 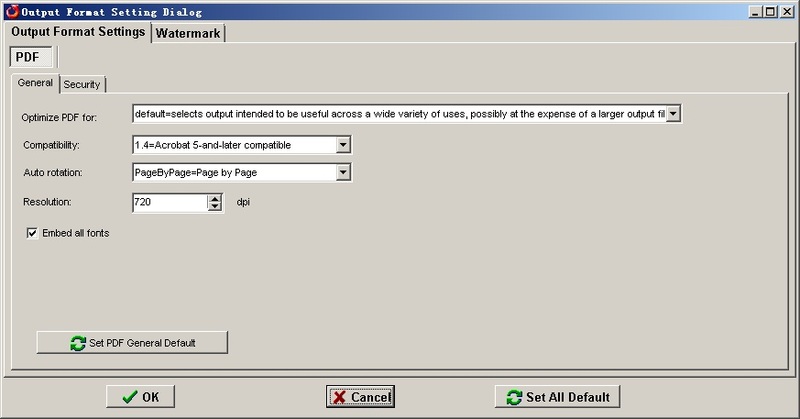 If you need to do other setting, please go to "Output Format Setting" tab like set password to protect PDF, set PDF general options and so on so forth. When you finish setting part, please click button "OK" to back to the main interface. On the main interface, please click button "Convert" to run the conversion. A few seconds later, you can check the output PDF files from the destination file path. Please note when you use this software to convert Excel to PDF, there will be MS Excel application installed or else the conversion will fail. When you use this software, if you encounter any problem, please contact us as soon as possible. After viewing this article, you can gradually master this function. Hope you can use the CZ Excel Converter v4.0 in your daily work. Thank you for your reading. What I talked above is about how to convert Excel to PDF and add watermark on pdf file by CZ Excel Converter. This software is developed by ConvertZone software company, if you need to know more about file format conversion software, please visit its official website. If you have any question about this software, please contact us by the ways supported on this website.